I would like more information about 448 Ridgeway Road. Addnl Marketing Remarks: Bosch appliances, double ovens, microwave drawer, and upgraded cabinetry. French doors & large windows open to a covered lanai. Enjoy entertaining on the large covered Lanai as you listen to the sounds of the nearby surf. The split plan offers privacy to the spacious owner's suite, bath w/free standing tub, separate walk-in shower and has access to the Laundry room. Ocean Ridge is the last new home community in St. Augustine Beach with an amazing location, close proximity to the ocean, dining and shopping â€“ you can walk everywhere! If it’s the relaxing beach life you desire in a home that you will love from the start, then visit Riverside Homes in this stunning new home community, Ocean Ridge. Residents will enjoy living steps from the beach and the community’s amenities pavilion and community pool in addition to its ideal location and proximity to shops and restaurants. Ocean Ridge is a unique community located on Anastasia Island in St Augustine, nestled among the natural beauty of rolling dunes and majestic Oak canopies. 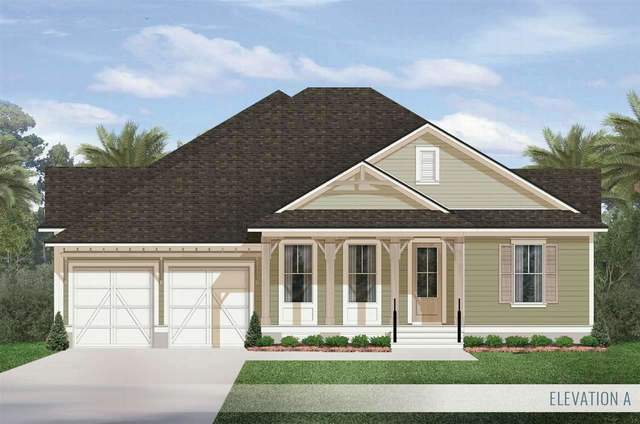 Walk to the beach in this one of a kind coastal community! Riverside Homes is a Preferred Builder in the neighborhood. Riverside Homes incomparable quality and service was recognized as an industry leader with receipt of Houzz’s “Best of Customer Service” award, Voted St. Augustine's Best Homebuilder in 2018 and Builder of the 2019 Southern Living Idea House!